We all know how healthy almonds are for us, but did you know that walnuts do offer some of the amazing health benefits when consumed on a daily basis? If not, you need to be with us in this article wherein you will know about the amazing benefits of walnuts. Know what they are and how beneficial would it be for you. Who wants to hit the gym when you can shed those extra pounds just by having a handful of walnuts. Just have them in your diet you will feel full. The more you have, the less you will an urge to eat. In short, you can manage your weight by including walnuts in your diet. One of the lesser-known facts about having walnuts in your diet is their impact on male fertility. If you are a man who mostly relies on the western diet, try adding at least 75 gms of walnuts in your diet. This will improve the sperm quality and count, significantly. 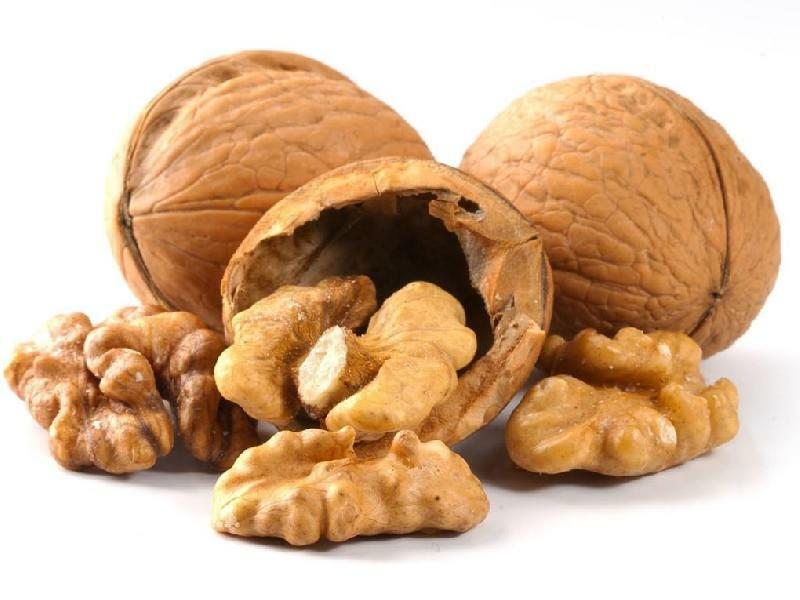 And, if you have been suffering from one of the male fertility issues, adding walnuts to the diet is a must. So, go for it. Regular intake of walnuts is known for reducing the insulin levels in the body. So, if you are a Type 2 Diabetic, start having a handful of walnuts in your diet and keep the insulin levels under control. Walnuts have vitamin E, folate, melatonin, omega-3 fats, antioxidants, and other essential nutrients that are good for our mind. In short, walnuts have everything that can make our brain stronger and sharper. According to studies, consuming high-antioxidant foods like walnuts, one can decrease the enhanced vulnerability to oxidative stress that occurs in aging. Antioxidants are good for our health. A decent proportion of antioxidants when consumed on daily basis can actually slow after effects of aging. Our body starts functioning efficiently if fed by walnuts and almonds. So, start taking them on regular basis and stop aging hamper your life. Walnuts have been a great source of amino acid l-arginine which is known to offer multiple vascular benefits to people with heart disease. So, if you have been stressing for the heart issues, try adding some walnuts to your diet and get multiple cardiac risk factors. Walnuts are helpful in reducing the risk of prostate and breast cancer. According to studies, a mice that ate the human equivalent of 2.4 ounces of whole walnuts for 18 weeks had significantly smaller and slower-growing prostate tumors as compared to others who had it less. This shows, how helpful walnuts can be for people who are suffering from some forms of cancer. The benefits of including walnuts in your diet are many, but a few of them have been covered above. Hope you find this information useful. Do not forget to share your thoughts with us. We would love to hear from you.